his study reviews the conflict from a Landpower perspective and includes the contributions of coalition allies, the U.S. Marine Corps, and special operations forces. Presented principally from the point of view of the commanders in Baghdad, the narrative examines the interaction of the operational and strategic levels, as well as the creation of theater level strategy and its implementation at the tactical level. Volume 1 begins in the truce tent at Safwan Airfield in southern Iraq at the end of Operation DESERT STORM and briefly examines actions by U.S. and Iraqi forces during the interwar years. The narrative continues by examining the road to war, the initially successful invasion, and the rise of Iraqi insurgent groups before exploring the country’s slide toward civil war. 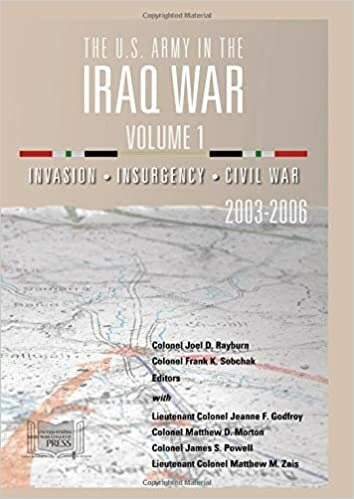 This volume concludes with a review of the decision by the George W. Bush administration to “surge” additional forces to Iraq, placing the conduct of the “surge” and its aftermath in the second volume.